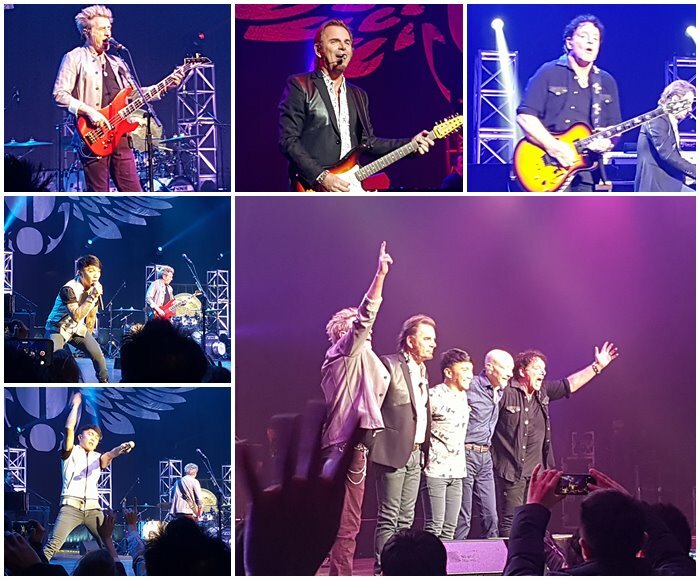 It is exactly a week ago now when Journey ~ the American rock group ~ visited Korea and performed in a two-hour sold out show. I was there with the coolest friends you could ever go to a concert with ~ despite knowing only two or three songs they still rocked, waved their cellphones and danced to the tunes! I’ve been a fan of Journey since 1984 ~ Steve Perry era ~ and I don’t know their songs except for the ones in recent albums. I stopped listening until the “Arrival” album. Then about three years ago, I started listening to Journey again ~ when Steve Perry came out from his hideout and performed with the “Eels”. So how was the concert? Fun, fun, and fun! There was a Korean guy seated behind me who sang louder than Arnel Pineda. It was a sold out show and I never knew until that concert that Journey has fans in South Korea! I was seated at the third row and we were so close to the stage that I could see every line in Ross Valory’s face. Somehow, I was thankful that Steve Perry is not the group’s singer anymore ~ or I’ll probably rush to the stage and make a scene! 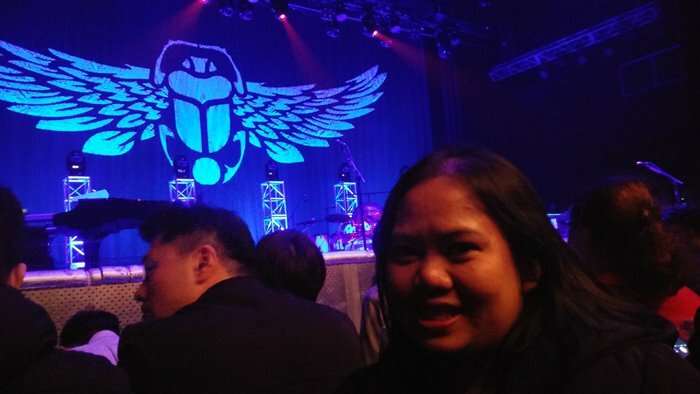 That’s me at Journey’s show in Seoul! The show started on time at 8pm. When my friend commented that it was her first ever concert, I reminded her that we went to the show of “Parokya ni Edgar” where we had to wait for two hours and a number of excuses to why they were late. Journey started with Separate Ways and ended in Lovin’ Touchin’ Squeezin’. The full setlist of their show is online but it doesn’t include the instrumental to “Bayan Ko” which they performed before “After All These Years”. I didn’t know that song ~ and it turned out that it was in their “Revelations” album. Like I said, I stopped listening to their albums after “Arrival”. Arnel Pineda was all hyper as the lead singer ~ the crowd was equally hyper and sang along to most of the songs. Overall it was an unforgettable night. Seeing Jonathan Cain, Steve Smith, Ross Valory and Neal Schon on stage is a fulfillment of that wish to see one of my favorite bands live.